Protect your rights and maximize your payout after a Nebraska car accident. We answer key questions and show you how to build a strong insurance claim. Car accidents happen without warning. One minute you’re driving safely along your usual route home, and the next minute you’re on the roadside, reeling from the impact of a collision. When an accident leaves you with losses, you’ll face decisions that can make or break your financial future. Getting the compensation you deserve for your bodily injuries and property damage starts with building a strong insurance claim. You can’t avoid every car accident, but you can be prepared to build a successful insurance claim by knowing what to do and say after a wreck, and the pitfalls to avoid. This guide can help. We’ve compiled 11 steps to building a strong auto insurance claim, with answers to the most frequently asked questions after a Nebraska car accident. What’s the first thing I should do? What should I tell the 911 dispatcher? Do I have a right to speak with the officer? What if the officer gives me a traffic citation? What is a Notice and Cooperation Clause? What if the accident wasn’t my fault? Are there apps for insurance claims? When do I have to file an accident report? How can I obtain a copy of the police report? What are the minimum auto insurance limits required? What about uninsured or underinsured motorist coverage? What is 3rd party liability? 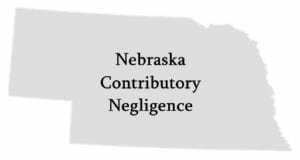 What is Nebraska’s contributory negligence rule? How does contributory negligence affect a settlement? When should I sue in small claims court? How much can I sue for in Nebraska’s small claims court? Do I sue the at-fault driver or the driver’s insurance company? 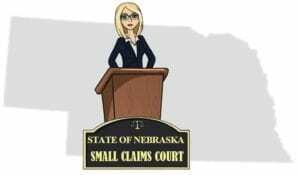 How can I learn more about Nebraska’s small claims court? What is Nebraska’s Statute of Limitations? What if the insurance company ignores my calls? Stop as close as you can to the accident scene without blocking traffic. Once stopped, check to see if anyone is hurt. Nebraska law requires drivers to give “reasonable assistance” to anyone who is injured. Reasonable assistance can include first aid and transporting or arranging to transport the injured person to the nearest medical facility for treatment. Call 911 to report the accident. While waiting for the police and paramedics to arrive, help the injured as best you can. You can also begin exchanging information with the other driver. You are required to share your name and address, the license plate number of your car, and your driver’s license information. Location: Emergency help can get there faster if they know where to find you. Tell the 911 dispatcher the road you’re on, the direction you were heading, the nearest intersection or mile markers, and describe nearby landmarks. Injuries: The dispatcher will want to know if anyone has been hurt or killed in the accident. Be sure to tell the dispatcher if you’ve been injured or you’re feeling sick. Hazards: Tell the dispatcher what is going on at the scene, if there are traffic problems, and if you see any dangers, like cars overturned or on fire, power lines down, or leaking fuel. You may have obvious injuries, like bleeding wounds or broken bones. But some injuries, even life-threatening injuries like internal bleeding or head trauma, may not show symptoms until hours or even days after the crash. Shock and distress can mask injury symptoms. Never refuse medical treatment at the scene. This is not the time to tough it out. If the paramedics want to transport you to the hospital, let them take you. If you are not taken directly to the hospital from the scene, have a medical evaluation as soon as possible after the accident. You can use your primary medical provider or go to an urgent care center or hospital emergency department. Refusing or delaying medical treatment is a terrible mistake that can seriously damage your insurance claim. The insurance company won’t hesitate to deny your claim by arguing that your injuries aren’t related to the accident. If you’ve hit an unattended parked car or any other property, you are obligated to leave a note with your name and address, phone number, driver’s license number and insurance information. You’re also required to immediately call the local police to report the accident. In a busy jurisdiction, law enforcement may not be available to come for a fender-bender, but if you’ve called 911 to report an accident with injuries, fatalities, or where there are hazards in the area, you will soon have a police officer on the scene. You have the right to tell the police officer your side of the story at the accident scene, but the officer doesn’t have to listen. The police have a job to do. When an investigating officer asks for your identification, tells you to wait, or gives you any other instructions, you should cooperate. 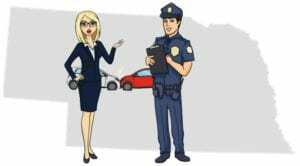 Arguing with the police or making confrontational statements are counter-productive and can only serve to delay the investigation of the accident. In some instances, aggressive behavior may lead to your arrest. You have every right to attempt to dissuade the police officer from issuing a citation. However, once the citation is issued, you must accept it, and sign it if asked. Accepting or signing a citation is not an admission of guilt. The place to contest a traffic ticket is in court, not at the accident scene. Accident scenes can be chaotic, with plenty of noise and activity around the wrecked cars and from nearby traffic. Everything happens quickly after the accident. Cars are towed away, and the drivers and witnesses leave. Crucial evidence may leave with them. If you’ve been the victim of a negligent driver, the success of your insurance claim will depend on your ability to prove the other driver did something wrong or failed to act responsibly. Use the short window of time after an accident to gather the evidence you’ll need to bolster your claim. Vehicle: You’ll need the make, model, year, license plate number, expiration date, and vehicle identification number (VIN) of the other car. The VIN number can normally be found on the lower left corner of the dashboard where it meets the windshield, on the driver’s insurance card, or inside the door jamb of the driver’s side door. Don’t enter the other car without permission. Passengers: Ask for the passengers’ full names and contact information, email addresses, and dates of birth. Passengers are not required to disclose information to you. If they refuse, make your own detailed notes. Write down the number of passengers, descriptions, approximate ages, your observations of their behavior, and anything you heard them say. Witnesses: Witnesses are not required to speak with you, but you can try to talk to a potential witness long enough to determine if they have any information that could help your claim. If the person is willing to help, ask them to write down what they witnessed and to sign and date their written statement. Diagrams: Draw a diagram of the accident scene showing the location of the cars before and after the crash. Show which direction they were heading. Indicate any contributing factors like road construction, traffic signals, ice, or anything you believe is relevant. Make notes about the lighting conditions, weather, the angle of the sun, and anything you saw, heard, or even smelled (like alcohol) before or after the collision. 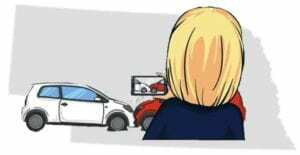 Photos and Video: Use your phone, camera, tablet or any device that’s handy to take as many pictures and videos of the accident scene as you safely can. Photographs and videos with sound are powerful forms of evidence that can capture important details of the crash and the behavior and attitudes of the occupants of the other car. Photographs and video make it very hard for the other driver or passengers to change their stories later. Property damages include the cost to repair your car, the value of your car if it’s a total loss, the cost to repair or replace personal items destroyed in the crash, and sometimes the cost of a rental car while your vehicle is in the shop. Personal injury damages can include the cost of medical, dental, chiropractic, and mental health diagnosis and treatment; rehabilitative services; replacement services; lost wages; and pain and suffering. 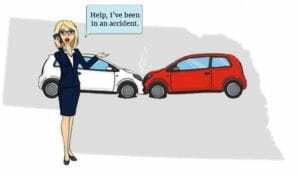 Download this free Car Accident Information Form. Keep copies of the form and a pen in your car, in the same place you keep your proof of insurance. You’ll always be prepared to collect the evidence you’ll need for a successful insurance claim. 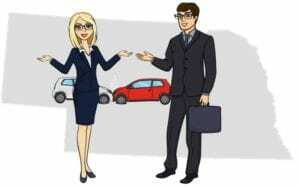 Your auto insurance policy is a contract between you and the insurance company obligating you to notify your insurer of any car accident, even if the accident wasn’t your fault or no one was hurt. 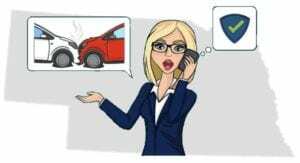 Don’t be tempted to skip telling your insurance company, even if the other driver wants to work it out without involving the police or insurance companies. It’s always in your best interest to notify your insurer of an accident. You expect your insurance company to protect you, but you’ve got to hold up your end of the bargain. When the other driver decides to blame you for the accident, starts complaining of injuries days after the wreck, or someone from the other car decides to hire an attorney, you can be sure they’ll contact your insurance company with demands for money. Your insurer would be at a serious disadvantage if you hadn’t already notified them of the accident. Failing to notify your insurance company of an accident is a breach of your agreement that can lead the company to raise your premiums, decline to renew your policy, or even cancel your insurance policy. There are insurance claim apps available for both Apple and Android devices, making it faster and easier to start your Nebraska car accident claim. Drivers involved in Nebraska car wrecks resulting in injuries, death, or damage over $1,000 to any kind of property are required to send a written report to the Department of Transportation (DOT) within ten days of the crash. Drivers must submit a driver’s accident report even when police investigated the accident and filed a police accident report. You will not be allowed to see another driver’s accident report, nor will the other driver have access to your report. 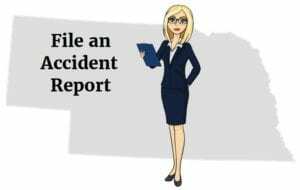 Driver accident report forms and instructions are available on the Nebraska Department of Transportation Accident Reporting page. You can purchase a copy of police accident report through the DOT’s Nebraska Accident Reports storefront page. Your policy’s liability coverage pays for bodily injuries and property damage from an accident that was your fault. In Nebraska, your insurance policy must provide liability coverage limits for bodily injury in amounts no less than $25,000 per person and $50,000 per accident, as well as $25,000 of liability coverage for property damage. Uninsured motorist bodily injury coverage will help compensate you for injuries caused by an at-fault driver who had no valid insurance when the accident occurred. Underinsured motorist coverage for bodily injuries comes into play when your injury damages exceed the amount of the at-fault driver’s liability coverage. Auto insurance policies issued in Nebraska are required to provide uninsured and underinsured bodily injury coverages in amounts no less than $25,000 per person and $50,000 per accident. Unlike no-fault insurance states, which require accident victims to turn to their own policy for insurance coverage, Nebraska allows third-party liability claims. Under the third-party liability rule, Nebraska car accident victims are permitted to pursue the negligent driver for compensation resulting from property damage or personal injuries. Nebraska follows the Modified Contributory Negligence rule, meaning that if you’re the victim of a Nebraska car accident, you can recover damages from the other driver even if you’re partially to blame for the accident, so long as the other driver is more to blame than you. How much you get paid for your car accident damages not only depends on the value of your claim but how much blame you share with the other driver for causing the accident. 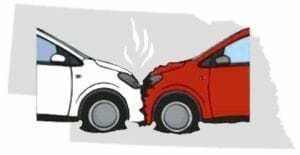 If you contributed to causing the accident, your compensation will be reduced proportionately. Jack was driving west on Union Drive on his way to pick up his wife from work. He was texting his wife to let her know he was running late. Julie was on her way home from the mall, heading northbound on Tatum Boulevard. As she approached the intersection of Tatum and Union, Julie hit the gas, trying to make it through a yellow traffic light. Unfortunately, the light turned red as she entered the intersection. Julie T-boned Jack’s car, seriously injuring Jack. Jack filed a claim with Julie’s insurance company, demanding $100,000 for his medical costs and pain and suffering. The insurance company refused to pay that much, countering with a low-ball settlement offer. Jack sued Julie for his personal injury damages. During trial, the jury saw evidence that Julie caused the accident because she failed to stop at the red light. However, the jury also saw evidence that Jack was texting when the wreck occurred. They both caused the accident. The jury found Julie to be 60% to blame for the accident because she ran the red light, and found Jack to be 40% liable for texting while driving. While the jury agreed that Jack’s injury claim was worth $100,000, under Nebraska’s Modified Contributory Negligence rule, his compensation was reduced by 40%, corresponding to his portion of blame, so Jack was awarded $60,000 for his damages. If the jury had found Jack’s portion of blame for the accident to be 50% or more, he would not have been awarded any settlement money. There are some auto insurance claims that can be settled without the help of an attorney. There are other claims that require the knowledge and experience of a skilled personal injury attorney to get the compensation you deserve for your damages. Before you decide to tackle the insurance company on your own, give some thought to the kind of injuries you’ve suffered, and what it might take to get the compensation you’ll need. “Soft tissue” injuries typically include strains and sprains, bumps and bruises, whiplash and similarly mild injuries. Soft tissue injury claims are usually a combination of treatment and therapy bills, some lost wages, and a minimal amount for pain and suffering. Soft tissue injury claims are uncomplicated and can usually be successfully settled without legal help. “Hard” injuries are much more serious. Hard injuries include open fractures, amputations, disfigurement, and potentially life-threatening or disabling injuries like brain trauma and spinal cord damage. Hard injury claims are complicated and expensive, including costs for specialized medical diagnosis and treatment, hospitalizations and rehab, mental health care, replacement services, and a tremendous amount of pain and suffering. There is too much to lose by trying to represent yourself in a hard injury claim. Hard injuries can be extremely high-dollar claims. The insurance company will not politely hand over that kind of money. The adjuster may be quick to say you won’t need an attorney, but don’t be fooled. The truth is, insurance companies typically offer lower settlements to claimants who aren’t represented by counsel. They know that once they make their “final” offer, you probably won’t have the tools or energy to fight them. Hard injury claims aren’t easy to negotiate, and frequently require the expert use of litigation tactics like medical testimony, records subpoenas, interrogatories, and other pre-trial discovery procedures before the insurance company will make an appropriate settlement offer. A skilled personal injury attorney has the know-how and tools to compel the insurance company to pay the amount of money you deserve for your injuries and suffering. Reputable personal injury attorneys offer a free initial consultation. 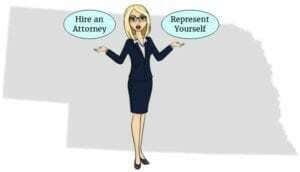 You can consult with more than one attorney before selecting who you want to fight for you. Before your first attorney meeting, gather all your accident-related paperwork. Your document file should include a copy of the police report, your medical records and bills, photographs and videos, your notes, and records of any communication you’ve had with the insurance company. After reviewing your file and hearing your side of the story, the attorney will discuss the potential value of your claim, how long it may take to settle, and if a lawsuit should be filed. Personal injury attorneys will normally represent you on a contingency fee basis. They won’t get paid unless your claim settles, or you win an award in court. Contingency fees are paid from your settlement amount or court award and range from 25% up to 40% depending on the complexity of your case. If the attorney is unable to settle your claim or loses your case in court, you won’t owe any fees. Small claims court is a less formal way to seek compensation for relatively small accident claims. In small claims court, cases are decided by a judge. You may present evidence and bring witnesses, but you may not bring an attorney to Nebraska small claims court. You may file claims for up to $3,600 in Nebraska Small Claims Court. You can only sue for material damages. For example, after an accident, you can sue in small claims court to recover the cost of medical bills or car repairs from the at-fault driver, but you can’t ask for an amount for pain and suffering. You will sue the at-fault driver in Nebraska small claims court, not their insurance company. For more information, go to the Nebraska Judicial Branch page on Filing a Small Claims Case in Nebraska. A statute of limitations is the legally designated period for resolving a claim or filing a lawsuit. Nebraska’s statute of limitations for car accident claims is four years. The statute begins to run on the date of the crash. This means you must either settle your claim or sue the negligent driver within four years from the date of the accident, or you’ll forfeit your right to seek compensation for your damages. The insurance company is not required to settle your claim before the statute of limitations expires and has no authority to give you an extension of time. The adjuster is not your friend and isn’t interested in what’s best for you, no matter what they say. They know what happens when you don’t have a settlement and haven’t sued their insured before the statute runs out. Beware of the statute of limitations. Unless you have a fully executed settlement agreement in your hand, you must file a lawsuit against the negligent driver before the statutory deadline, or your claim will be completely extinguished. You won’t be able to get a dime from the at-fault driver, or their insurance company, no matter how badly you were injured. Don’t be afraid to sue the at-fault driver. A lawsuit not only stops the statute of limitations from running, but it also sends a clear message to the insurance company that they can’t push you around. After suit is filed, your attorney will continue to negotiate with the insurance company and may be able to get your claim settled without going to court. 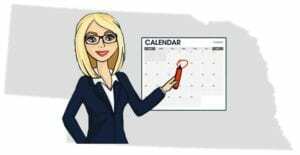 Know the statutory deadline for your claim. Put reminders on your phone, on your calendar, or anywhere else that will alert you well in advance of the deadline. Don’t wait until the last day to protect your accident claim.